The recent boom in the cryptocurrency values has caught all of our attention. Cryptocurrency is, as the name suggests, digital assets using encrypted transactions to transfer, generate and verify funds not operating decentralized, that is, not under a central bank, but rather, independently. Now seems like the right time to invest in the currently booming market of various cryptocurrencies. Let us go a little bit on the technical side and familiarize ourselves with a few terms. Blockchain refers to a block, a continuously increasing list of records containing an encrypted hash of the previous block, transaction data and a time stamp. It is managed by a peer-to-peer network. The data in a block cannot be altered without the alteration of all the subsequent blocks. Cryptocurrencies are formed and maintained by two ways, the Proof-of-work and Proof-of-state. Proof-of-work uses computation power of the CPU to solve complex puzzles, and calculations. The second, proof-of-state, use random combinations of wealth or age of currency to determine the creator for the next block. All of this might sound a little fancy and over the top but it’s always a good idea to do a fair amount of research into whatever you plan to invest your money into. Just because you missed your chance when Bitcoin was valued at around a dollar doesn’t mean it was the only chance you get. New cryptocurrencies are being introduced, and many planned to be introduced in the short future. The market is currently huge with a lot of investment opportunities. If you don’t like the video or need more explanation, then continue reading. Bitcoin: Bitcoin was formed in 2011, then valued at a -$2.61 is now the most famous and popular cryptocurrency with the highest market capitalization. Bitcoin has seen a surge in market value reaching $19,000 in December last year. 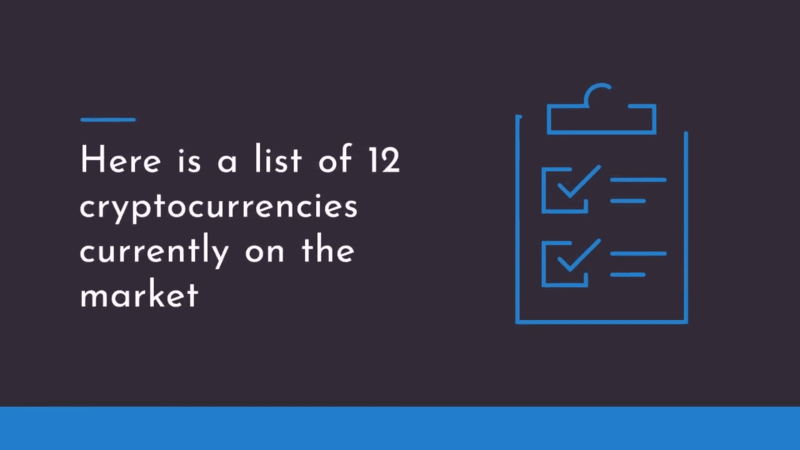 The currency has a market cap of $147.7 billion, with a total of around 16.7 million coins in the market. Ethereum or Ether: Formed in 2015, with a current market cap of around $67 billion, Ethereum is the second largest cryptocurrency with a current value of about $690 in March 2018 and hitting a high $1293 in January 2018. There are about 97 million Ethereum coins on the market. Ripple: Currently valued at 0$.78 hitting a high $8.22 in January, Ripple is the third largest cryptocurrency with a market cap of $30 billion and a whopping total of 38 billion coins in the market. Bitcoin cash: Followed by Ripple, we have bitcoin cash leading the market with a market cap $17 billion. Increased Bitcoin block size from 1mb to 8mb. Cardano: Cardano, launched in 2018 and formed by Charles Hoskinson and Jeremy Wood, is the currently the fifth largest cryptocurrency with a total 31 billion coins in the market, and a market cap of $6 billion. Litecoin: Formed by Charlie Lee, Litecoin was released in 2011. Currently valued at $181 in March 2018, and hitting a $321 high in December 2017, Litecoin is the sixth largest cryptocurrency in the market, with a market cap of $10 billion. Namecoin: Formed in 2011, Namecoin has a current market cap of $15 million with 8 million coins in the market is currently valued $1.85 in March 2018. Swiftcoin: A cryptocurrency with a theoretical value based on the work required to produce electricity. Valued at $0.88 and a market cap $3.4 billion, hitting high $2.32 in January. Dogecoin: This cryptocurrency based on an internet meme, The Doge was formed in 2013 by Jackson Palmer and Billy Markus. The currency is at the moment valued at $0.0039 and has a total market cap $441 million with a total 113 billion coins. The currency hit a high $0.019 in January 2018. Bytecoin: This is the first cryptocurrency to use PoW and PoS functions. The currency is currently valued at $0.0031 with a current market cap $571 million and hit an all-time high $0.0164 in January. There are about 183.6 billion bitcoins in the market. PotCoin: Formed in 2014 to service the legalized pot industry, PotCoin is valued at $0.124 and has 176 million coins in the market with a market cap $21 million. Tether: The tether was formed to convert other cryptocurrencies into USD. The value of Tether is equal 1 US Dollar since it is backed by the US Dollar it is valued at around $0.992 in March 2018. There are around 452,000 Tether coins in the market with a market cap $448,000.